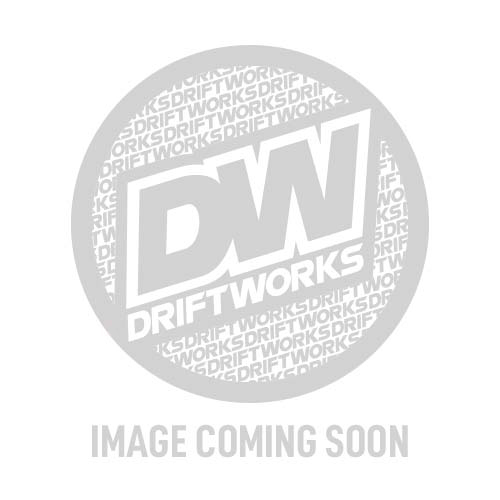 The Driftworks Geomaster tie rods use a spherical bearing and full stainless steel construction. They are 24.5cm long and come with a 6mm inbuilt rack spacer for the best bolt-on lock increase available. Will work with S13/14/15 and all Skyline GTS-T. Will also fit Z32 by shortening the track rod side thread. M14 track rod ends must be used (available here). As these use a spherical bearing they have less range than a traditional ball joint type tie rod, if you have a slammed car or a preload only adjustable suspension, make sure to jack the car to full bump travel and checking the inner bearing doesn't bind. We recommend fitting new steering rack boots and tie rod ends at the same time.